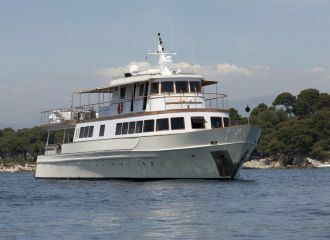 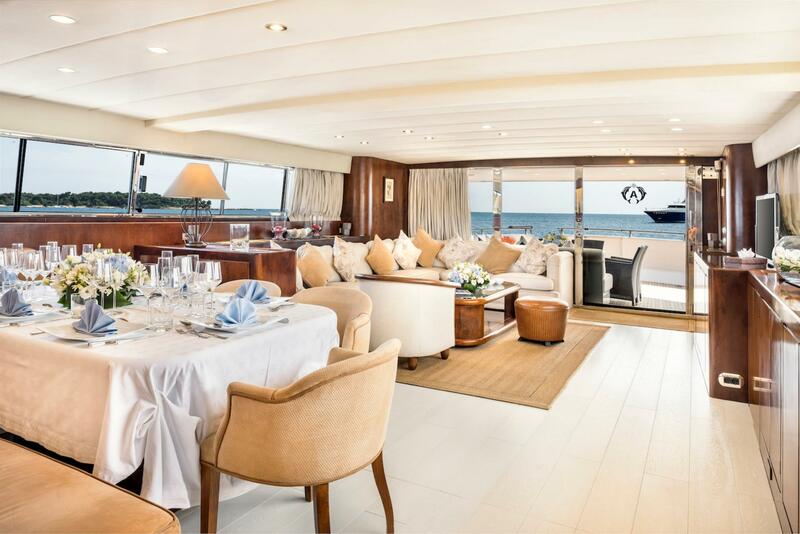 Ideal for private French Riviera yacht charters as well as large groups, corporate and event yacht charters in the south of France, this Alalunga 33m has an expansive deck space and can welcome up to 40 guests when cruising. 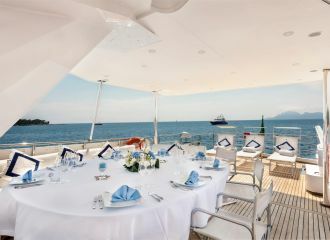 On the aft deck, guests will find a large dining table seating up to 12 guests. 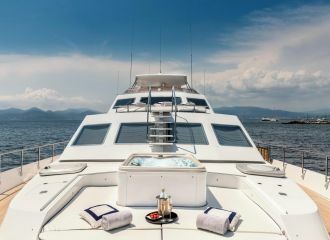 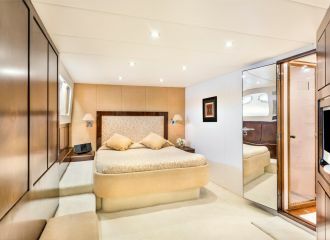 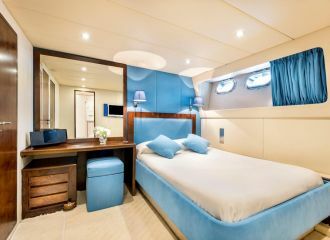 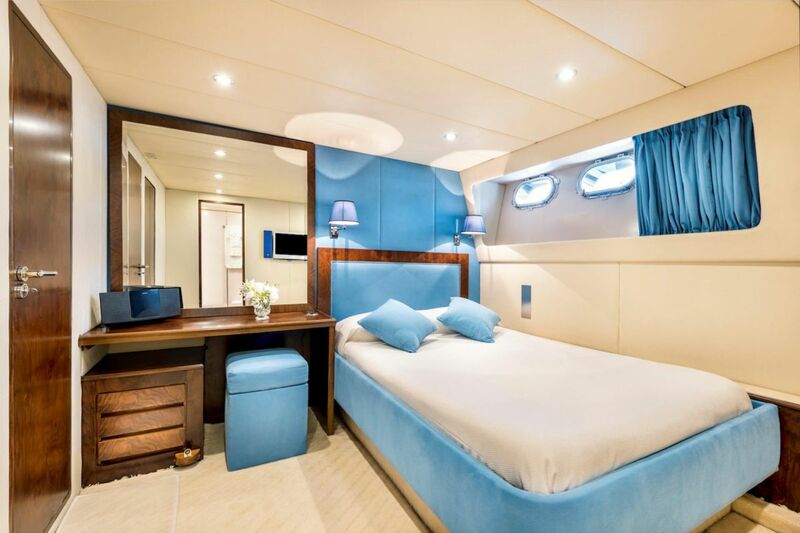 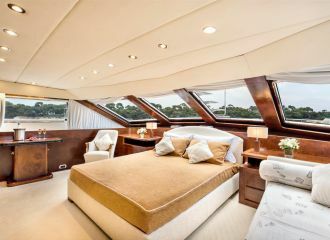 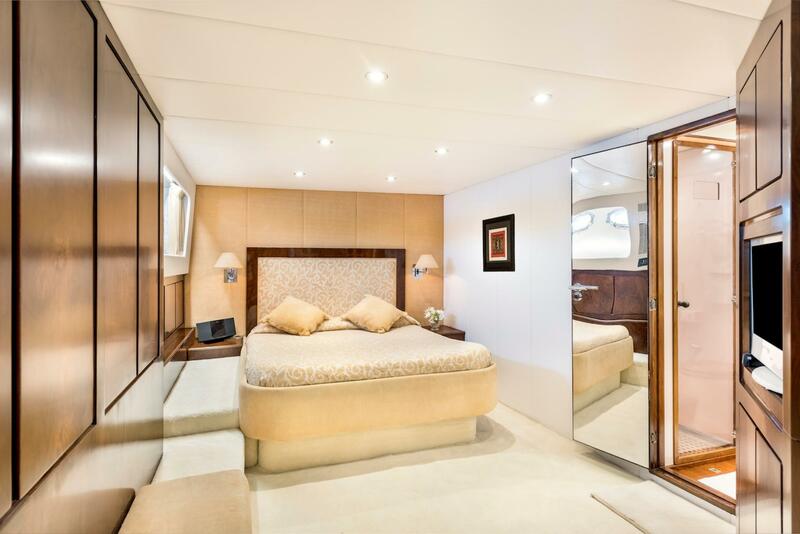 Spacious sunbeds and a jacuzzi can be found on the foredeck. 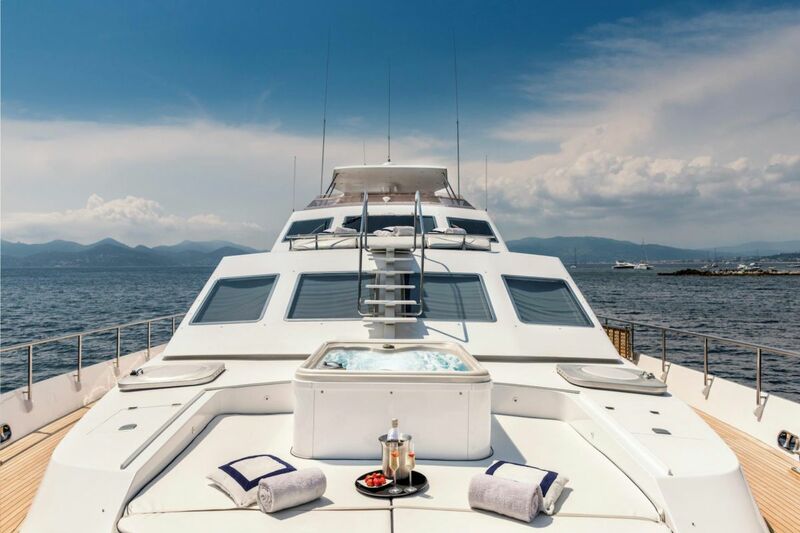 The sundeck features an additional seating area as well as a sunbathing area. 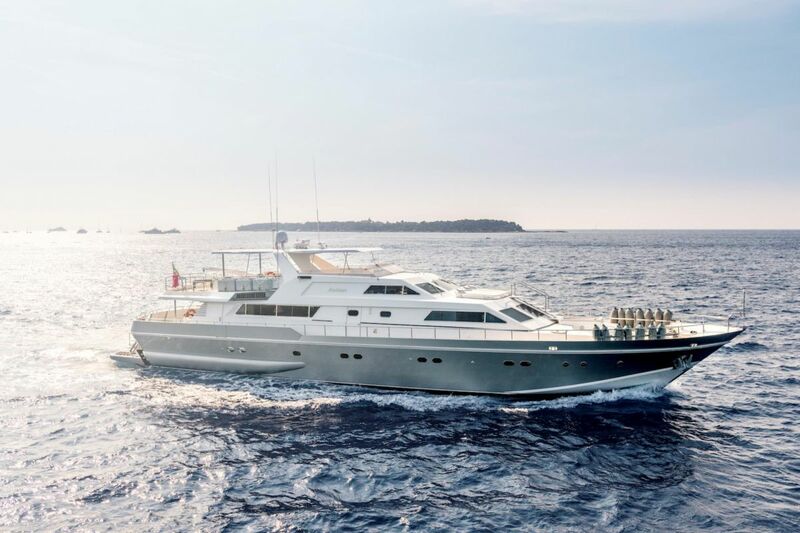 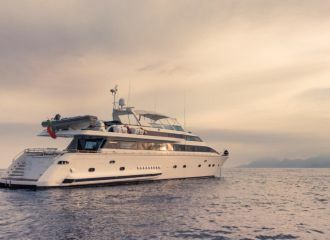 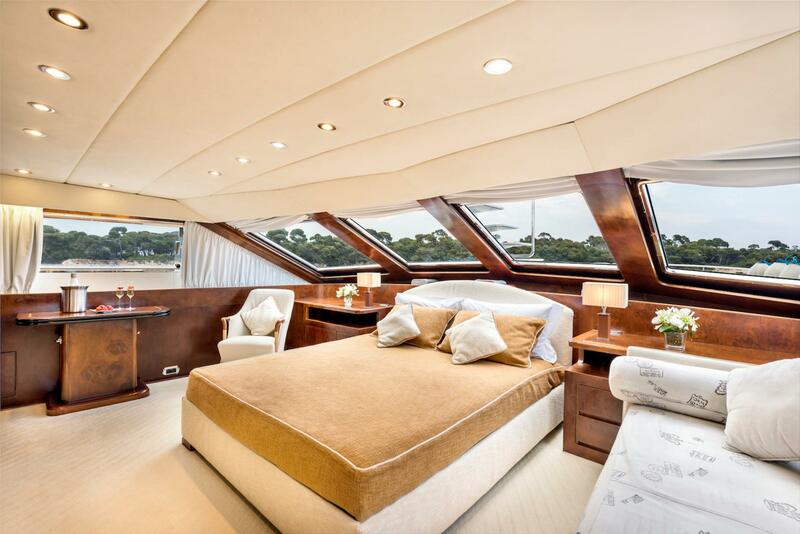 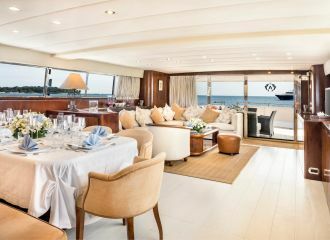 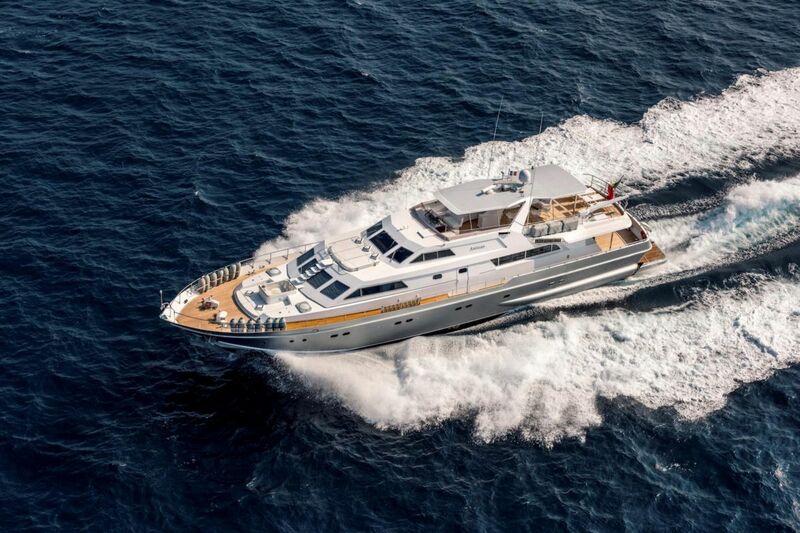 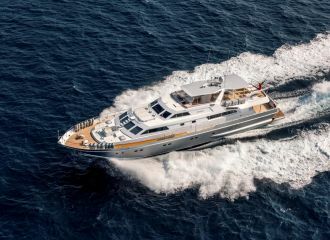 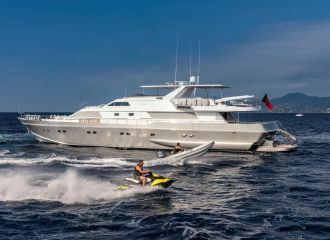 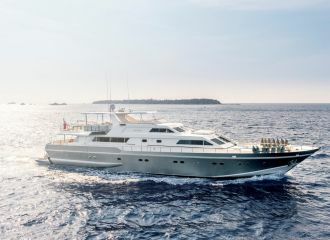 This Alalunga 33m motor yacht is kept in great condition and offers accommodation for up to 10 guests in 5 cabins: 4 double and 1 twin, all with en-suite facilities. 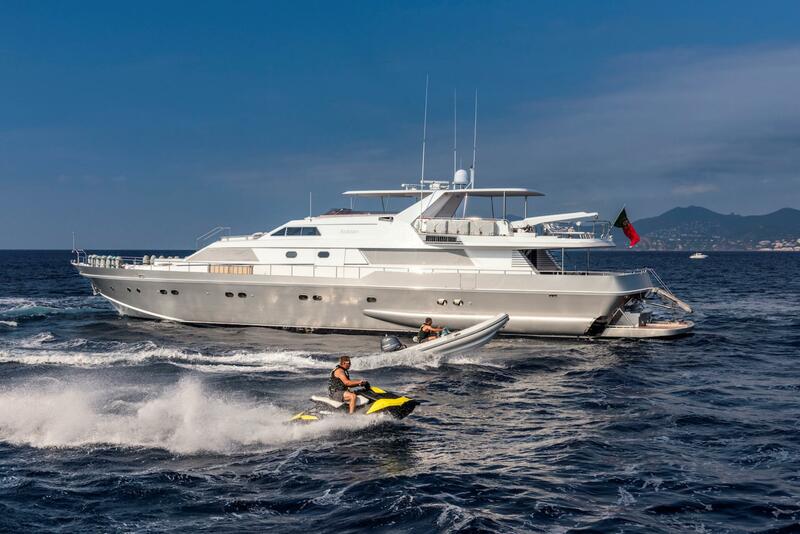 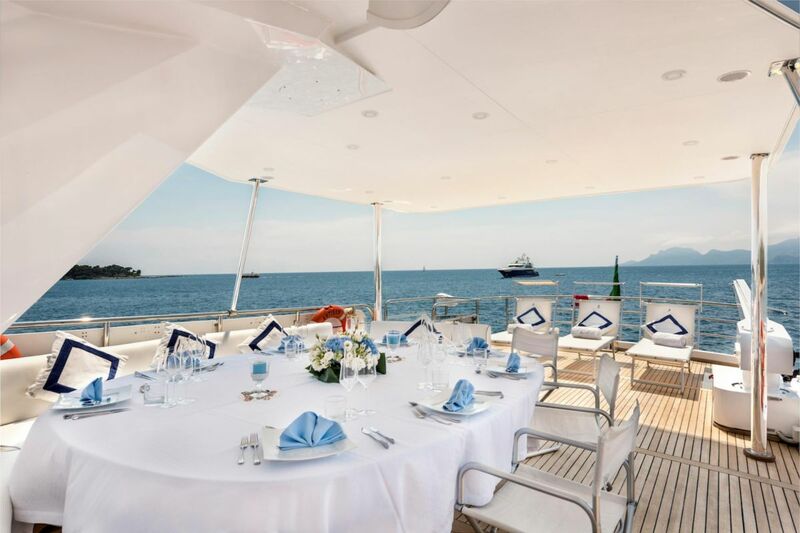 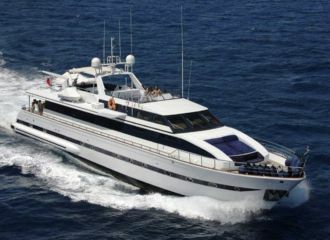 Based in the French Riviera, she is the perfect charter yacht for events in Cannes such as Cannes Lions, MIPIM, MIPCOM, Cannes Film Festival or the Monaco Grand Prix. 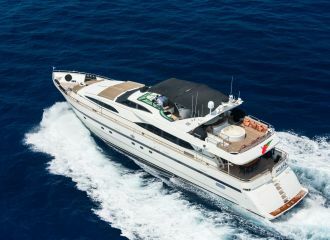 total 9000	€ Excluding VAT and APA ?